This entry was posted in self-defense and tagged AllOutdoor, Europe, travel. Bookmark the permalink. 7 Responses to How safe is your area? New on AllOutdoor. That looks like a gun free zone (victim disarmament/criminal empowerment zone) to me, which, as it happens, would also be a place where the Ten Commandments are not generally recognized. We are perfectly safe here in my area, right up until such moments as we aren’t. It’s not razor wire at least. 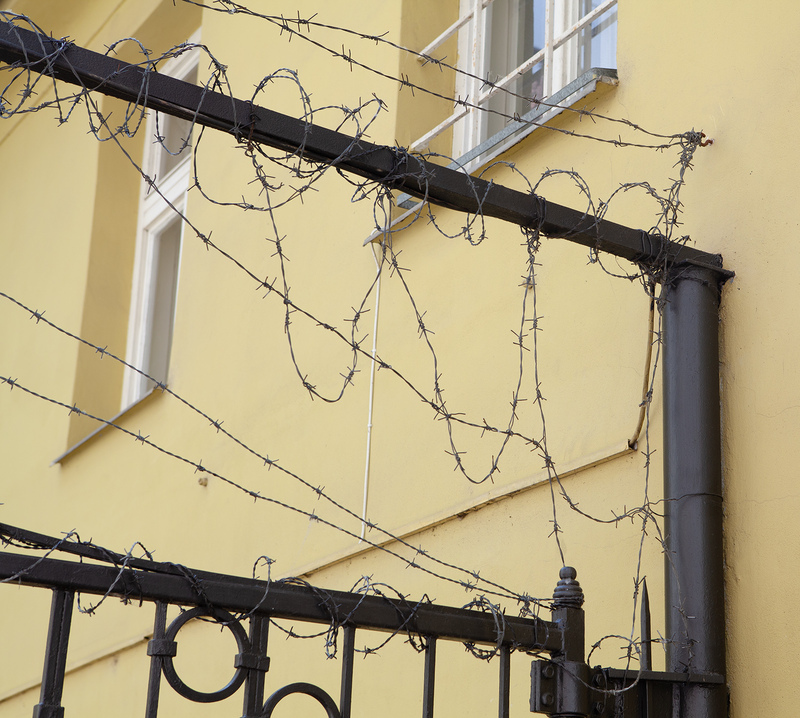 Razor wire is quite often banned in various areas through zoning regs. Same with window bars. Those regs can be weaponized for use against citizens. I was told that a local gun store was forced to close here in Silicon Valley, back when Pres Clinton was working to eliminate gun dealers. The state/county mandated that one of the requirements to renew his dealer/FFL license was to cover all windows with security bars. The county knew the local zoning rules forbid that, so no license. The owner decided to retire instead of trying to relocate the business, as that was not seen as a likely possibility. Have a look at Google Earth’s Street Views of suburban areas of San Juan, Puerto Rico. Nearly every house you’ll see has bars over every door and window. Nice place. I recall the story related by A. Schwarzenegger about his early years here in the US. IIRC, he was a brick layer, and after building a wall around a yard/house, he lined the top with broken glass set in fresh mortar. He stated that he had to return and remove the glass, which was a common feature in European construction. When I made my last move I had a choice, buy a house near the medical center, which was supposedly a pretty good neighborhood, or one in a nearby small town. Realtors showing homes in the medical center were real proud of the burglar bars, security lighting, alarms, etc. In the small town they were apologizing for the landscaping, since no one can keep the deer out of their yard.